These are wonderful! 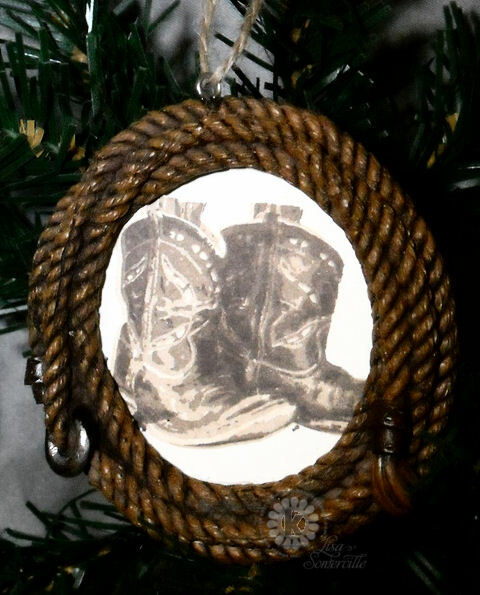 Love the rustic feel and the ornaments/frames and images are perfect together! How perfect is that! Really cute. I DO love it when it works out...especially these beauties! The lasso and boots are so stinkin' cute! Love the rustic look added by the twine too. Verrry Nice! You have me heading to Hobby Lobby this morning, Lisa!! These are sensational!! I hope there are still some left on the shelves. There won't be after I leave!! What fabulous work!! Thanks for the awesome inspiration! Oh my, Lisa! These are truly amazing! I so love the frames on each of the ornaments, and your images are so beautiful!! Great ornaments, they look fantastic with the KSS images inside! You did an incredible alteration!! Love these ornaments! Have a great week! Lisa, your ornaments are Fabulous!!!! What a great idea to alter already made ornaments! Just LOVE them! Those are the cutest things! 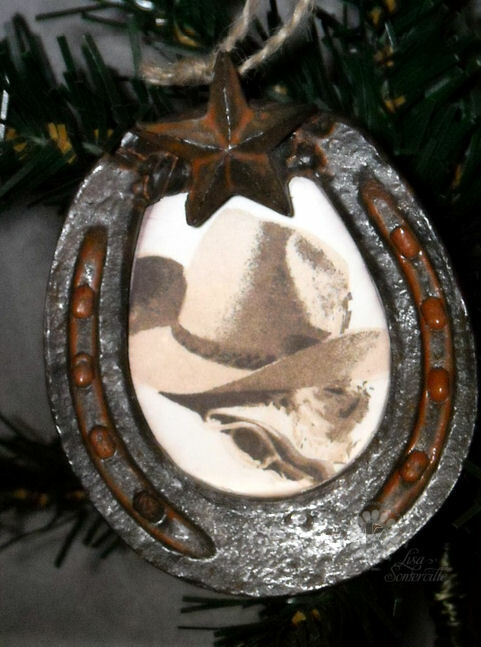 I have 3 grown nieces who have Western decor in their houses....at least one has her tree in Western decor. I would LOVE to find some of these. Your version is wonderful! Aren't you clever! You should show HL your version of these ornaments!Great job! Nicely done, clever ways to give the cowboy feel with rope and horse shoe!